Indian skipper Virat Kohli enjoyed an overwhelming 2018 with the bat and led Team India to several victories in all formats of the game. He amassed 1322 runs in 13 Tests at an average of 55.08, 1202 runs in 14 ODIs at an impressive average of 133.56 and 211 runs in 10 T20Is. The Delhi lad struck 11 centuries in both ODIs and Tests. Indian cricket team captain Virat Kohli was announced ICC Cricketer of the Year, ICC Men’s Test Cricketer of the Year and ICC Men’s ODI Cricketer of the Year. The 30-year-old achieved the historic feat of bagging all the top three ICC awards after a massively run-laded 2018 calendar year. 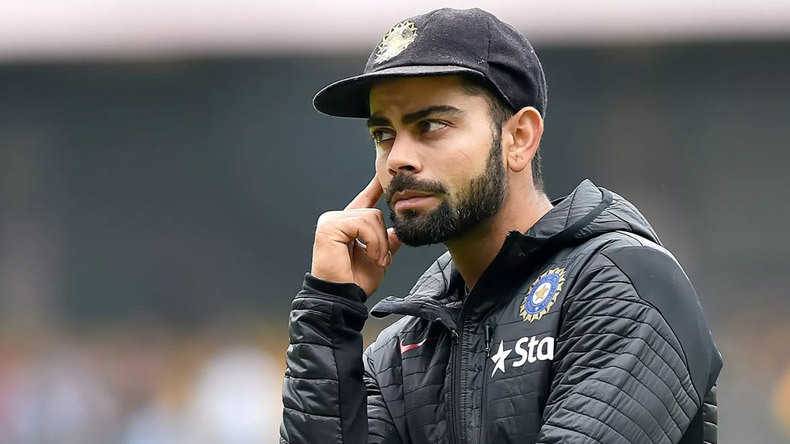 Kohli was also included in both ICC Men’s Test and ODI Teams of the Year while he was also named the captain of the ICC Men’s Test Team and ODI Team of 2018. The swashbuckling Indian batsman enjoyed an overwhelming 2018 with the bat and led Team India to several victories in all formats of the game. Virat Kohli amassed 1322 runs in 13 Tests at an average of 55.08, 1202 runs in 14 ODIs at an impressive average of 133.56 and 211 runs in 10 T20Is. The Indian skipper struck 11 centuries in both ODIs and Tests. Among other Indian cricketers, pacer Jasprit Bumrah was included in both ICC Men’s Test and ODI Teams of the Year while Rishabh Pant made it in the Test Team and Rohit Sharma and Kuldeep Yadav were included in the ODI team. ICC Men’s Test Team of the Year: Tom Latham (New Zealand), Dimuth Karunaratne (Sri Lanka), Kane Williamson (New Zealand), Virat Kohli (India) (c), Henry Nicholls (New Zealand), Rishabh Pant (India) (wk), Jason Holder (Windies), Kagiso Rabada (South Africa), Nathan Lyon (Australia), Jasprit Bumrah (India), Mohammad Abbas (Pakistan). ICC Men’s ODI Team of the Year: Rohit Sharma (India), Jonny Bairstow (England), Virat Kohli (India) (c), Joe Root (England), Ross Taylor (New Zealand), Jos Buttler (England) (wk), Ben Stokes (England), Mustafizur Rahman (Bangladesh), Rashid Khan (Afghanistan), Kuldeep Yadav (India), Jasprit Bumrah (India).